Barcelona, February 07, 2018. 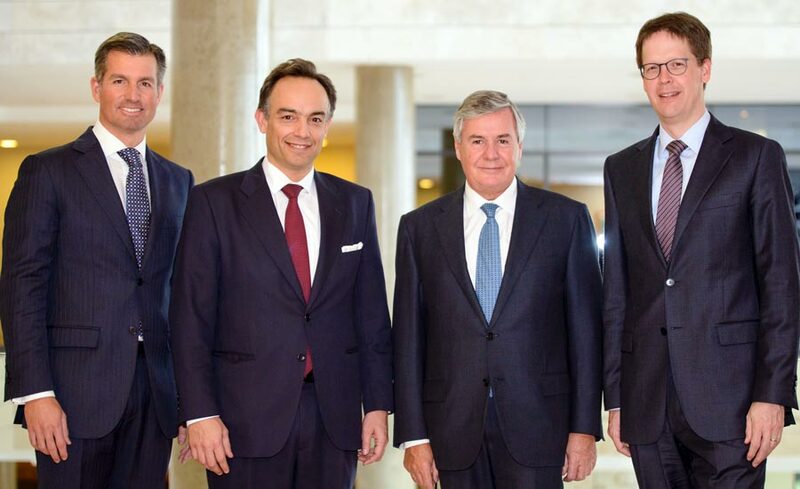 – The IESE Alumni Association has elected Alejandro Beltrán de Miguel (MBA ’98) as its new president. He takes over from Jorge Sendagorta (PADE ’90), who had served as president since 2012. Beltrán is senior partner and chairman of McKinsey & Company Iberia. He is a member of the consultancy’s Global Operating Committee and is also its global chief talent and people officer, responsible for supervising the strategy and operations of McKinsey People at a global level. Since joining McKinsey in 1998, he has worked with many leading national and international companies, particularly in the areas of corporate finance and strategy and in banking and infrastructure. Beltrán holds a Bachelor’s degree in Economics and Management from the University of Navarra and an MBA from IESE. Dean Franz Heukamp praised outgoing president Sendagorta for his dedication to the group. “I would like to thank Jorge Sendagorta for the work he has done as president of the Alumni Association. He has supported a number of initiatives, of which I would highlight a platform to foster entrepreneurship and the internationalization of the group,” Heukamp said. “I am also happy to welcome Alejandro Beltrán. Alejandro brings his extensive professional experience and his strong commitment to IESE, which, I am sure, will mean a new push for the association,” the dean said. The election took place during the annual meeting of the Alumni Association’s Governing Board, held on the Barcelona and Madrid campuses. The meeting brought together presidents and secretaries from around the world, as well as Alumni Regional Chapter representatives. The Alumni Association is an international community of more than 45,000 alumni, of some 130 nationalities and living in more than 100 countries.